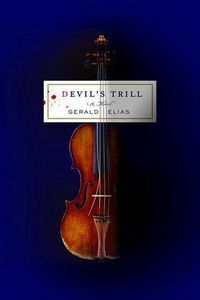 Devil's Trill by Gerald Elias: Synopsis and Online Purchase Options. Synopsis (from the publisher): Daniel Jacobus is a blind, reclusive, crotchety violin teacher living in self-imposed exile in rural New England. He spends his time chain-smoking, listening to old LPs, and occasionally taking on new students, whom he berates in the hope that they will flee. With the help of his friend and former musical partner, Nathaniel Williams, his new student, Yumi Shinagawa, and several quirky sidekicks, Jacobus sets out to prove his innocence and find the stolen Piccolino Strad. Will he be successful? The quest takes him through the halls of wealth and culture, across continents to Japan, and leads him to a … murder.